Barcelona is one of the pioneers of the buy-back clause. 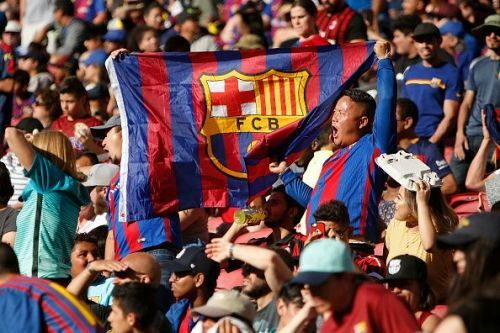 The Spanish giants invest heavily in their La Masia youth academy and while only a select few make it all the way to the first team, the Catalans often ensure they have an option to bring a player back to the Nou Camp should they succeed after a transfer. The buy-back clause is becoming increasingly more common as elite European clubs establish multi-million euro youth academies and want some insurance on their investments even after they leave. While traditionally a continental clause, English clubs such as Manchester United has been insisting on buy-back clauses in transfers of late. The benefits of a buy-back clause are apparent for the selling club. They can allow a player on the fringes of the first team to leave and simply buy them back for a slightly higher price if they improve to a desired level over the proceeding seasons. However, the benefits are not so obvious for the buying club. They may gain a very good player from an elite club, but if that player improves they could lose him for less than his market value. Regardless, Barcelona has been insisting on inserting such clauses in transfer agreements for the best part of a decade. The recent transfer of Yerry Mina to Everton involved a buy-back clause worth a reported €60 million. While this seems like an extraordinary price to pay for a young center-back who is yet to fulfill his potential, in two or three years time it may represent a canny piece of business. Likewise, Barca inserted a buy-back clause when selling Christian Tello to Real Betis last summer. The Spanish international moved for a fee of €4 million but can return to the Nou Camp should Barcelona decide to activate the agreement. While La Blaugrana rarely activates the transfer stipulations, there has been some noticeable cases when they have brought players back to the Nou Camp. Below, we look at three times Barcelona has brought players back to Catalonia by activating their buy-back clause. At only 24 years old, Gerard Deulofeu has literally been around the block and back. The winger came through the youth ranks at Barcelona, making 68 appearances for Barcelona B between 2011 and 2013. However, he just couldn't break into the Barca first team and in 2013 went on loan to Everton followed by another loan spell at Sevilla in 2014. Upon his return from the second loan spell, La Blaugrana decided to sell him to Everton for a fee close to €6 million. 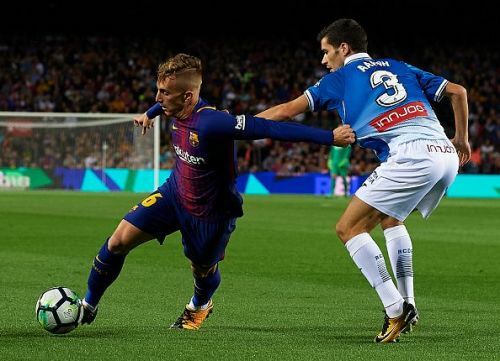 A buy-back clause was inserted into the agreement worth €12 million and following a season and a half at Goodison Park and a half-season loan at AC Milan, Deulofeu was back at the Nou Camp. The Spaniard made only 10 appearances for Barcelona after his return and was once again loaned out to the Premier League for the second half of last season. This time it was Watford who acquired his services and the Hornets made the move permanent this summer with a €13 million transfer.